"Dr. Khedia is a very caring doctor and knows his patients." "Dr. Khedia is very knowledgeable, caring, and takes his time getting to know you." "We love Dr. Khedia. He took great care of my mom...and now he's taking care of my dad." "I haven't seen any doctor that is as thorough as Dr. Khedia." "Absolutely love Dr. Khedia. He is so kind and caring with his patients." "Dr. Khedia is a very good doctor. He is caring and always very nice to his patients." "Dr. Khedia is the best doctor. All of my family loves him." 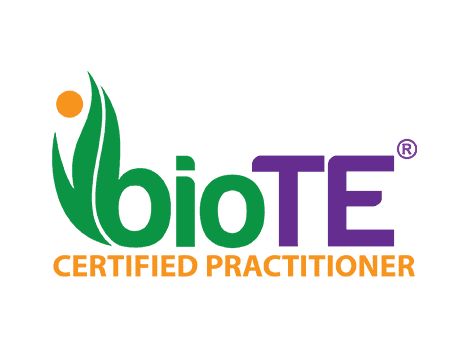 Board-certified internal medicine physician and bioidentical hormone replacement therapist — with an Advanced Bioidentical Hormone Replacement Therapy (ABHRT) certification — Sanjay Khedia, MD, strives to provide every patient with the highest level of compassionate care. He proudly serves adult and elderly patients at his practice in Covina, California, conveniently located 20 miles outside of Los Angeles, and is the medical director of several nursing home facilities in the area. Born and raised in India, Dr. Khedia graduated from the Maharaja Sayajirao University of Baroda with a Bachelor of Medicine, Bachelor of Surgery degree. He then immigrated to the United States to complete his residency in internal medicine at Mercy Hospital in Pittsburgh, Pennsylvania. In addition to caring for patients at his office, Dr. Khedia happily visits nursing homes and hospitals. He also serves as medical director for two nursing homes, two home health agencies, and a hospice. Dr. Khedia provides expert care for many complex conditions, including diabetes, high blood pressure, heart disease, and hormone imbalances. He prioritizes the needs of his patients and specializes in preventive medicine for optimal health. By routinely attending educational conferences, Dr. Khedia stays current on the latest advances and developments in medicine. Aside from seeing patients, Dr. Khedia is chief of staff at Glendora Community Hospital and a board member at Citrus Valley Independent Physicians and Citrus Valley Health Foundation. He was named Physician of the Year at Queen Valley Hospital in West Covina, California in 2004. In his free time, Dr. Khedia enjoys spending time with his family, reading, and listening to music. Treating hormones for both Women and Men of all ages, BioTe treats the symptoms of hormone decline or dominance and restores energy, libido, and mental cognition. "Dr. Khedia does care from his heart. Thank you for the time you take with me, Dr. Khedia, with all my aches and pains. I never feel rushed out..."
"Dr. Khedia is the best of the best. Very caring office. They keep you well informed and will see you quickly if you explain your problem (flu, cold, pneumonia, etc)." "Dr. Khedia is the best doctor. He spends time with each and every one of his patients. He takes the time to listen to your concerns and then acts on them. Five stars..."
"Dr. Khedia knows his patients well and genuinely cares for them. A very smart physician that I would want to be around if I am ever in need for medical attention." "Dr. Khedia is courteous, kind (not smug), smart and very helpful. His best quality is his ability to truly listen when I describe what's ailing me." "Dr. Khedia is assertive, knowledgeable, patient, and understanding of his patients. Thank you Dr. Khedia for fulfilling my mother's life." "Dr. Khedia is the most wonderful doctor you can ever have as your primary doctor. I've been seeing him for twenty years and would not see anyone else..."